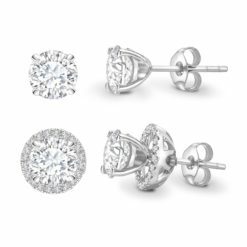 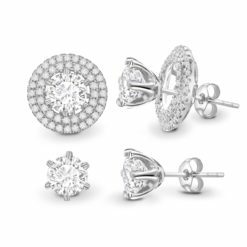 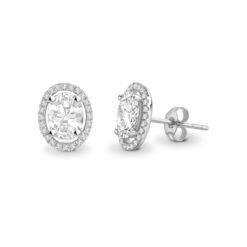 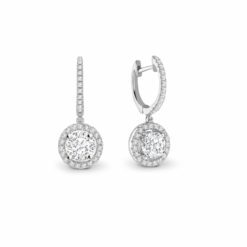 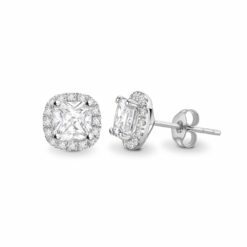 Pear shaped diamond studs, no compromising. 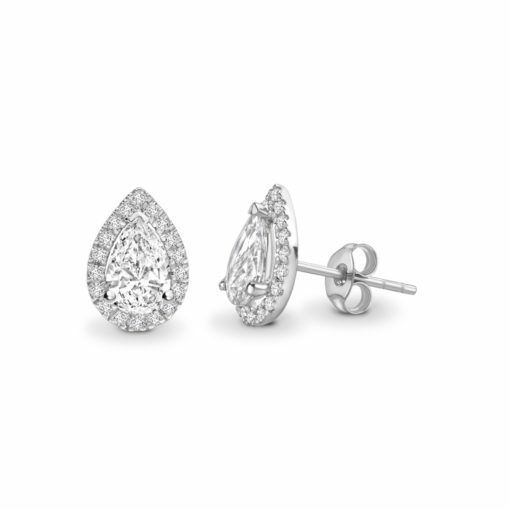 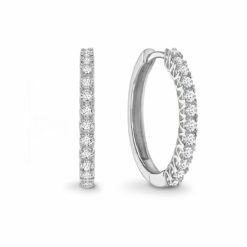 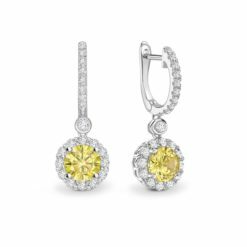 The curves on these pear shaped halo earrings enhance the beauty of the tear drop shape. 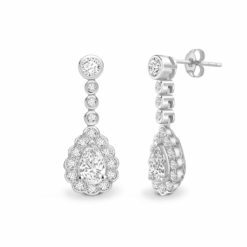 Go fancy.